Discover the Sanctuary's vital seal rescue work, with more than 40 abandoned pups cared for by the dedicated team of experts in our fully-equipped hospital and spacious outdoor rehabilitation pools. The progress of these pups is closely monitored right through from rescue to their release back into the wild. Marvel at the antics and agility of our resident otters. Our pair of Asian Short Clawed Otters are ideally suited to life in the public gaze, perfect ambassadors for the conservation cause of otters in the wild, including our dwindling native species the European otter. Facilities within the seal sanctuary are continually being upgraded, the redevelopment of the Sea Lion pools gave Carus the Patagonian Sea Lion, a larger more enriched environment. Rocky, a Californian Sea Lion, was born in captivity at a facility in Brighton. Now blind, he leads a contented life with Pepper, a female Californian Sea Lion who came over from Cape Cod Aquarium, in the USA. Fascinating feeding demonstrations throughout the day. 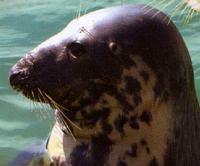 The National Seal Sanctuary is located on the upper reaches of the beautiful Helford River by the creekside village of Gweek, approximately six miles from Helpston.